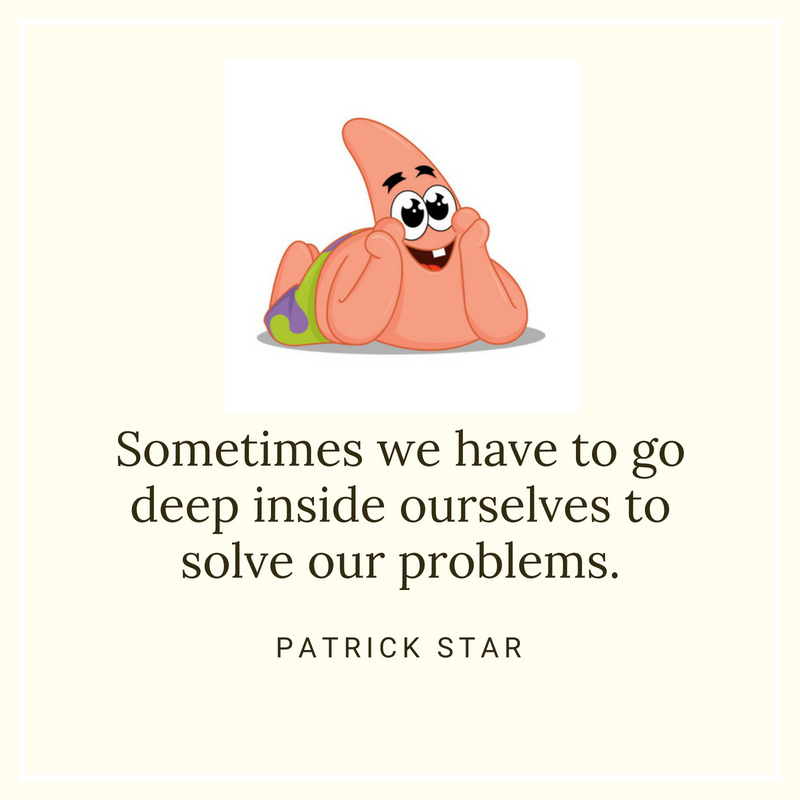 Patrick Star is a fictional character from the hit animated hit TV series Spongebob Square Pants. He is voiced by Bill Fagerbakke and designed by cartoonist and marine biologist Stephen Hillenburg. 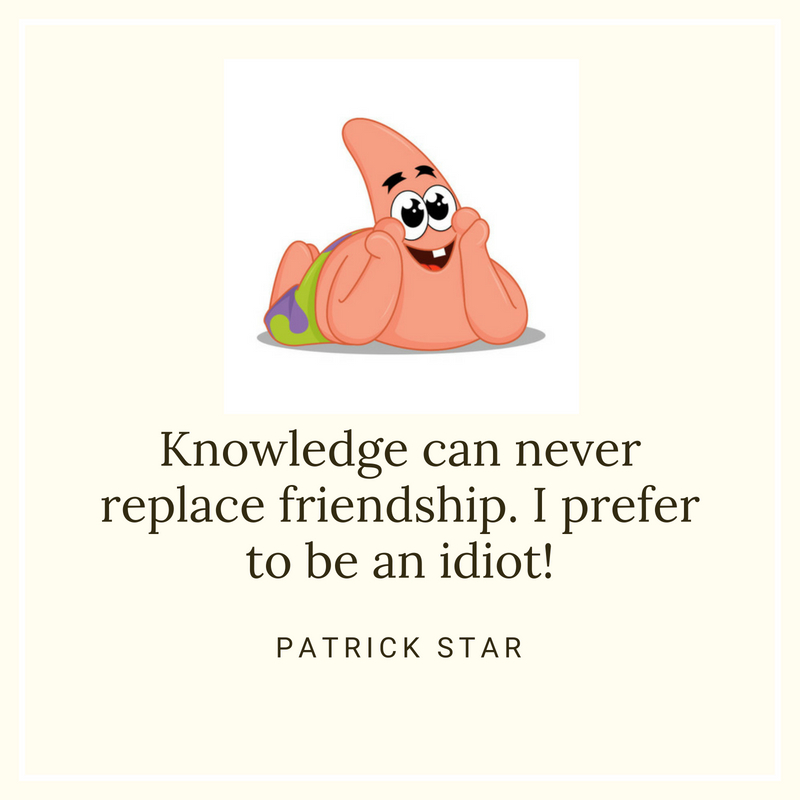 Patrick, whose best friend is the titular character Spongebob, is perceived as an obese and simpleton starfish. His lack of common sense often leads him and Spongebob into trouble. However, even though he is a little simple-minded, some of his words reflect honesty, love, and friendship. If you are a huge fan of Spongebob Square Pants, you will surely enjoy these 10 awesome quotes from the very cute and silly Patrick Star. 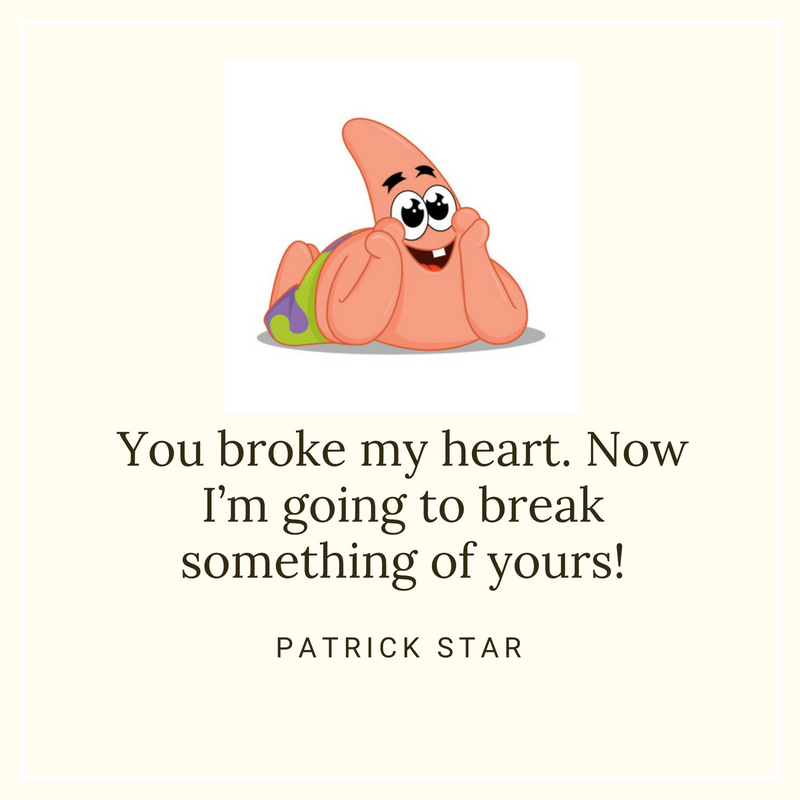 You broke my heart. Now I’m going to break something of yours! Hibernation must mean the opposite of beauty sleep. Now all I need is a magic mustache and all my dreams will come true. 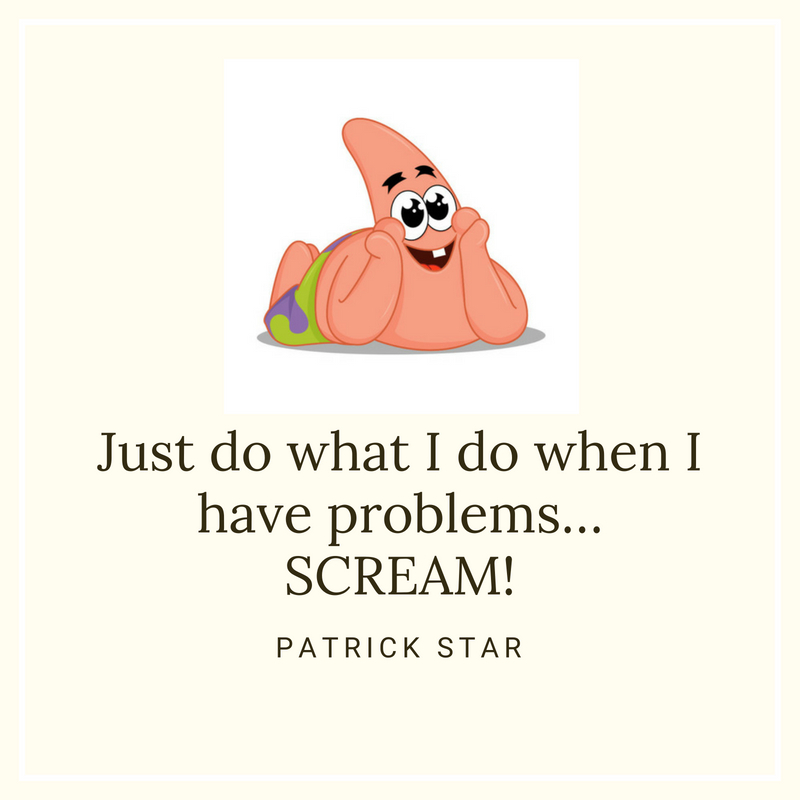 Just do what I do when I have problems… SCREAM! 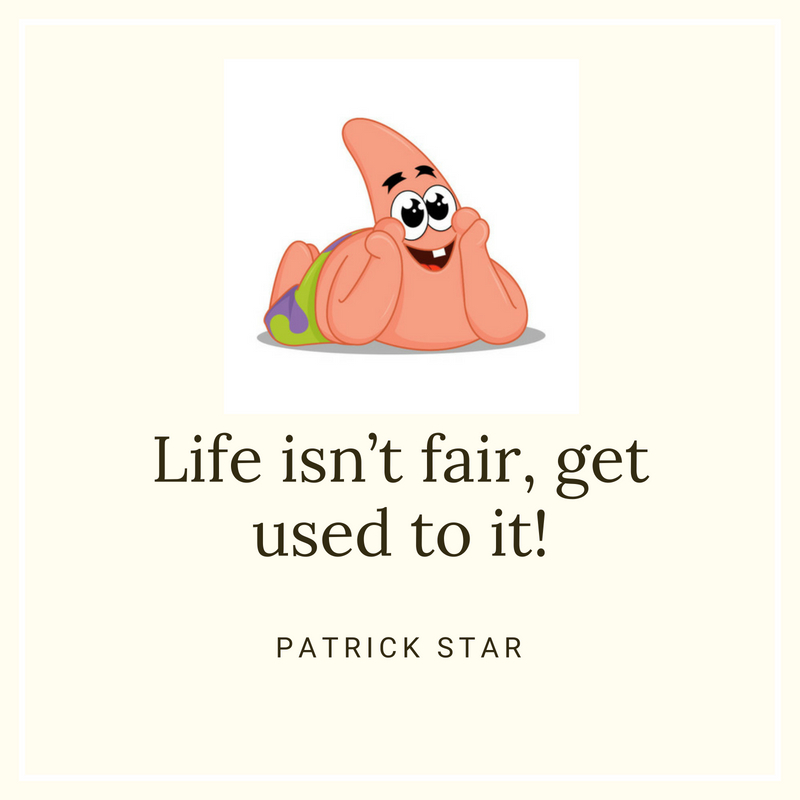 Life isn’t fair, get used to it! Are you a fan of Spongebob Square Pants? 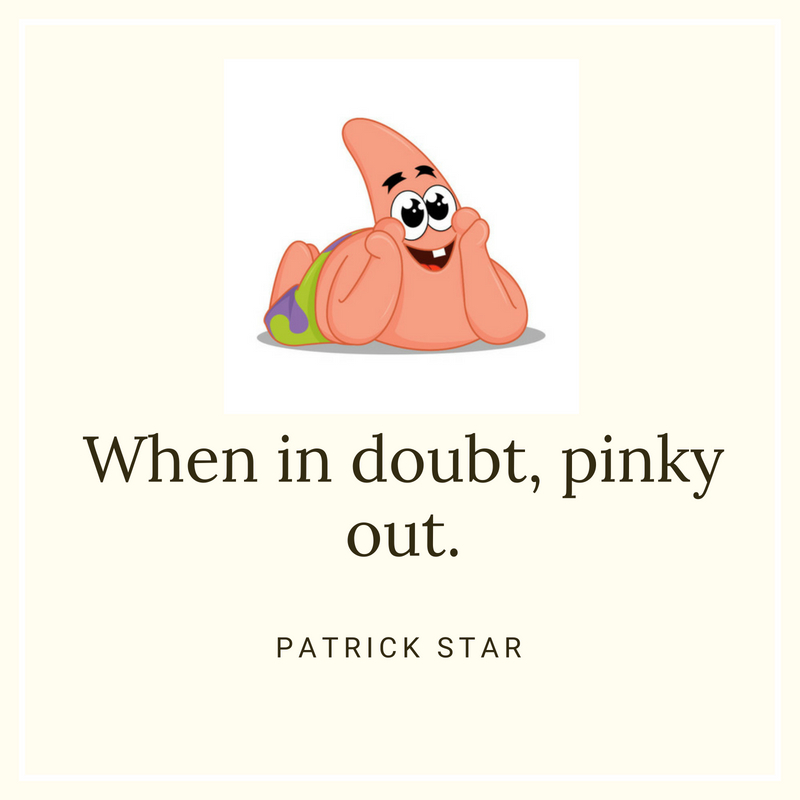 Then you will definitely enjoy these 10 Patrick Star quotes that we have prepared for you! Feel free to share these with your friends, family and loved ones. 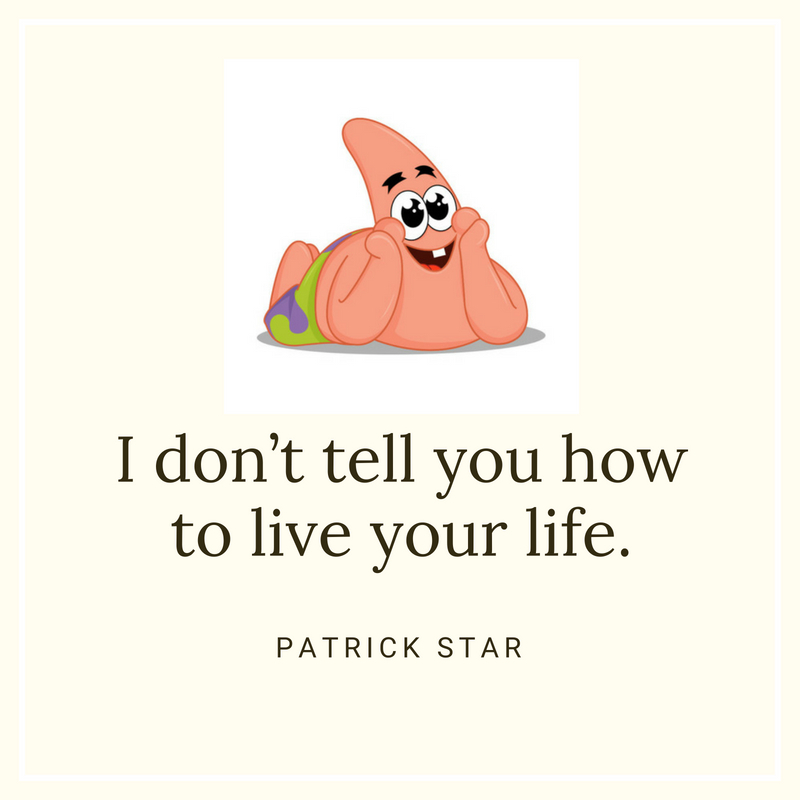 You may be able to learn a thing or two from this cute and lovely starfish who lives under a rock in Bikini Bottom.